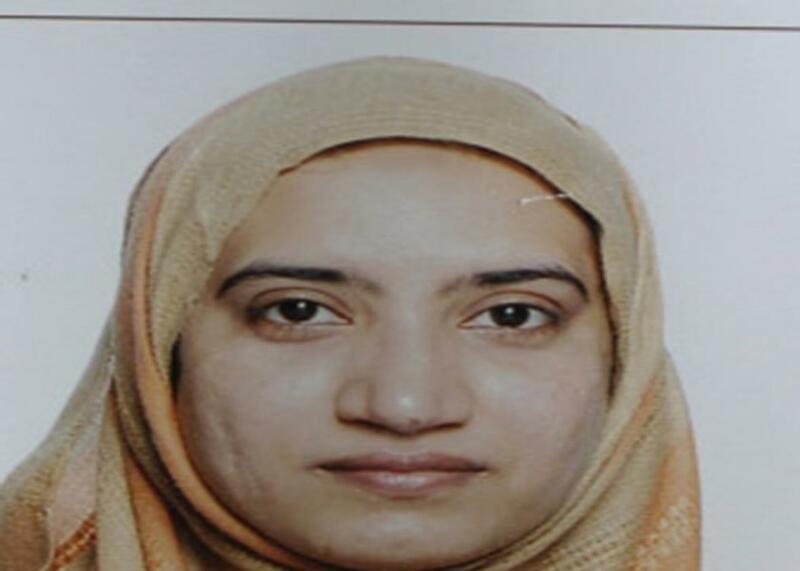 Tashfeen Malik: Female San Bernardino suspect may have radicalized husband. In this handout provided by the Federal Bureau of Investigation (FBI), Tashfeen Malik poses for a photo at an unsepcified date and location. As the investigation into the San Bernardino mass shooting continues, attention seems to be centering on Tashfeen Malik, the Pakistani woman who participated in the rampage with husband Syed Farook. The broad outlines of Malik’s story are beginning to take shape: a smart, modern woman from a well-to-do family slowly started becoming more extremist while in university. Now investigators are looking into whether she pushed her American husband to take up violence. “There’s a serious investigation ongoing into what she was doing in Pakistan and in Saudi,” Rep. Michael McCaul, chairman of the House Homeland Security Committee, said on Fox News. “We think that she had a lot to do with the radicalization process and perhaps with Mr. Farook’s radicalization from within in the United States.” McCaul described Malik as “the wild card” in the probe. Two officials confirmed to the Associated Press that investigators are analyzing whether Malik was the driving force behind the attacks. One law enforcement official said they are investigating whether Malik’s marriage to Farook was part of a long effort to get to the United States and commit jihad. But so far it was just one of many leads that are being pursued. One of the key pieces of evidence is the Facebook post in which she pledged allegiance to ISIS right as the couple were carrying out the attack. So far, there doesn’t seem to be anything in Farook’s Facebook that would suggest he was the brains behind the shooting, an official tells the AP. 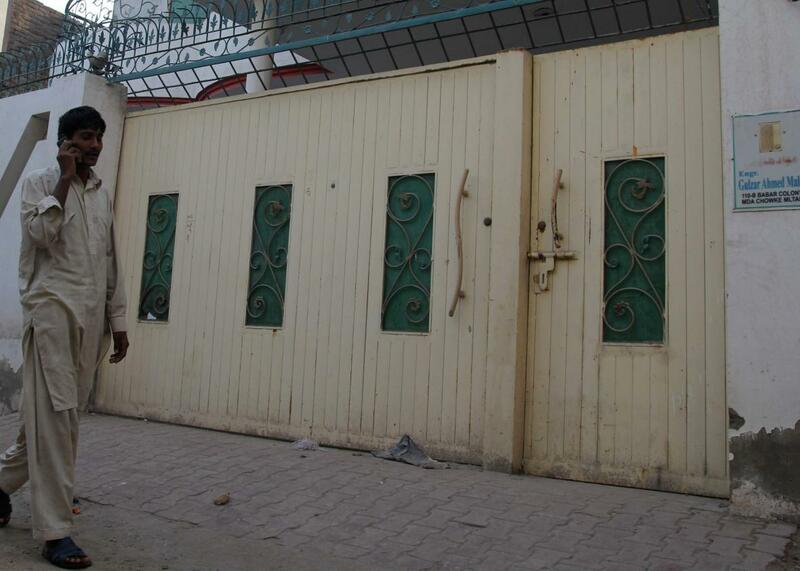 A resident walks past house gates bearing a sign of the residence for Gulzar Ahmed Malik, the father of female US shooter Tashfeen Malik, and where Tashfeen lived when she was studying pharmacy at the Bahauddin Zakariya University in the Pakistani city of Multan, on December 6, 2015. Amid all the unanswered questions, what does seem clear is that Malik started becoming more extremist in her views, according to family members and classmates in Pakistan. “After a couple of years in college, she started becoming religious. She started taking part in religious activities and also started asking women in the family and the locality to become good Muslims,” a family member tells the Los Angeles Times, adding that her Facebook posts began concerning her family. Her friends, meanwhile, noticed that she was becoming more religious in her beliefs but denied there were any hints of radicalization. “We were like, ‘What happened to Malik?’” a friend who studied pharmacology with Malik told the Washington Post. “She became so religious, so serious and so focused on Islamic teachings, and she lost her interest in her studies.” An official confirms to the Post that Malik tried to reach out to Somalia-based al-Shabab and Jabhat al-Nusra, which is al-Qaida’s affiliate in Syria. Officials also suspect the pair planned to carry out multiple attacks due to their large stockpile of weapons, reports Reuters. There is no evidence though of other possible targets.